LITE PACKAGE! 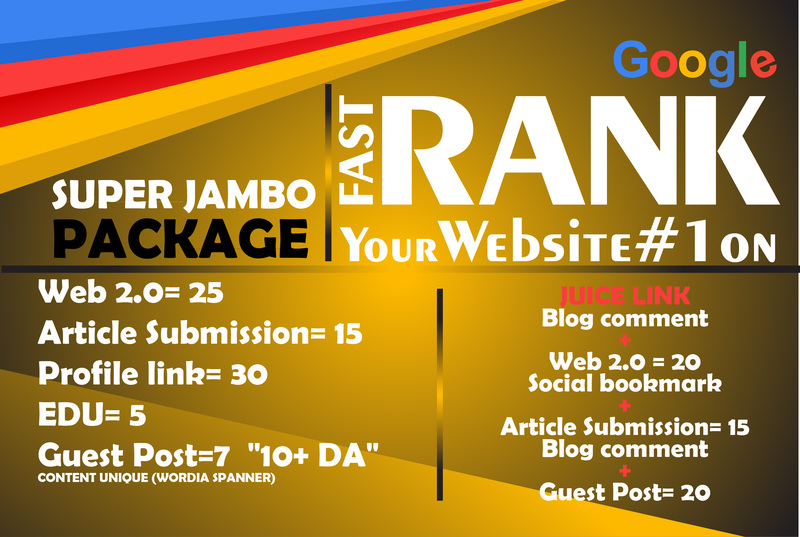 - We bring you latest lite little link buiding package which will improve your ranking for starters ... We Do What We SAY!!!! After years of operating different packages successfully with over 99% positive feedback we now present one of the latest google algo breaker to kick start your SEO and ranking, To know more about what we are offering do check the image below for better understanding. Three main keywords. Keywords should be long tails containing two to three words minimum. Yes, But we dont guarantee results improvement. Jumbo PACKAGE - Manual Job - Latest Google Algorithm Breaker - Improve Your Ranking Towards Page 1 is ranked 5 out of 5. Based on 83 user reviews.